Let’s build a giant, unsustainable city in the desert. 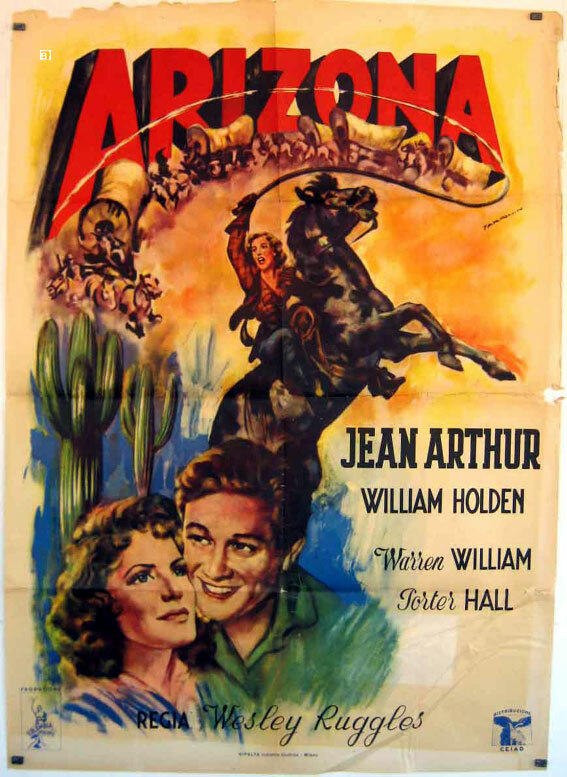 From a sexual politics standpoint the movie interestingly pairs its 39-year-old leading lady Jean Arthur with new hunk on the lot William Holden, all of 22, which could no doubt get wags hagging about “Old Cougar Town”. I confess to never succumbing to Arthur’s charms. The squeaky voice thing rarely holds me, even when the squeaker is more alluring (paging Rosie Perez) than plain-Jean. Here, she’s a feisty (the word used in every review about this movie) get-‘er-dun lass trying to set up a stage line. The spunky wildcat deals with the usual Rotten Business Rivals Who Will Stop At Nothing, plus marauding Apaches, infiltrating Rebs (the Civil War is going on back East), noisy statehood arguments where the supporting cast get to harrumph, and last but not least the lassoing of a feller to eat the flapjacks she’ll whip up in spare time. 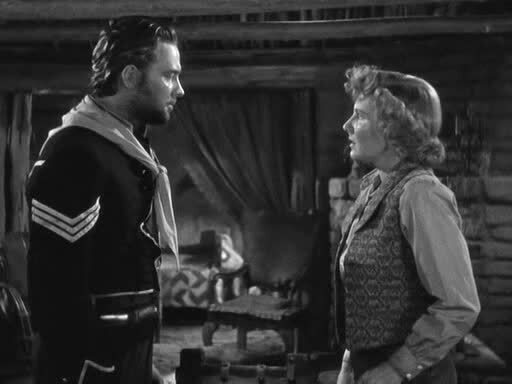 Edgar Buchanan is fun as always:at 37, the former dentist already settling into his rumpled persona with that wonderful proto-frontier voice. Action scenes are handled with flair by old-time director Wesley Ruggles, though the movie does take its time at 125 minutes. The terrific art direction was Oscar nominated, as was Victor Young’s music score. It came in 59th place for the year, grossing $2,800,000.